In a series where violent death is prevalent but the regular characters generally immune, Face the Raven (2015) is a rarity in featuring the demise of the 12th Doctor’s longstanding companion Clara Oswald. While Doctor Who’s basis as a time-travel series means that the audience will see Clara again, everything after her death here is borrowed time. Sarah Groenewegen is the author of the novel Daughters of Earth, and of numerous essays on Doctor Who, gaming, and being queer. In 2016 she was awarded a British Empire Medal for her services to law enforcement and LGBT+ diversity. 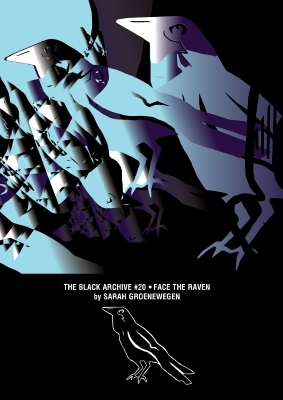 The Black Archive #21: Heaven Sent by Kara Dennison will be published in July 2018, and The Black Archive #22: Hell Bent by Alyssa Franke in August 2018.